Dr. Nolan was born and raised in Monroe, La., where she was a 2003 graduate from Neville High School. 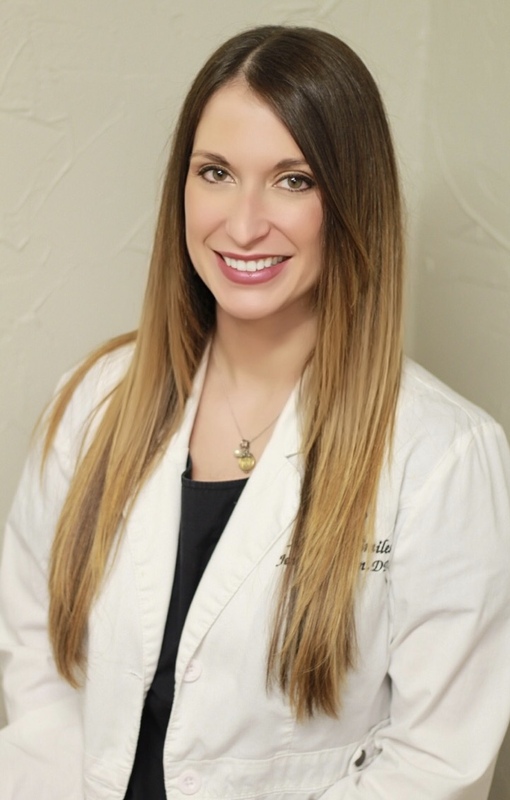 She graduated with her Bachelor of Science in Biology from Louisiana State University at Baton Rouge in 2007, and from there she completed her Doctorate of Dental Surgery at Louisiana State University at New Orleans in 2012. She married Will Nolan in 2012 and they have two daughters, Ella, 9, and Charlotte, 2. Dr. Nolan and her family enjoy spending time together and living a healthy lifestyle. She and her husband Will are certified personal trainers and share a passion for health and fitness. The family also enjoys hunting, fishing, skiing, and being outdoors. Dr. Nolan has extensive training and experience in treating children of all ages, and she is credentialed in hospital dentistry for children and adults at Northern Louisiana Medical Center. She also has advanced certifications in Botox and Juvederm, for not only cosmetic treatment but therapeutic treatment of TMJ, as well. Dr. Nolan currently serves as the Vice President for the Northeast Louisiana Dental Association. She has a strong passion for volunteer work and received the 2012 Outstanding Volunteerism Award from Dental Lifeline Network.